Enter the charming world of classic Disney art by painting iconic scenes from five of the most beloved films. The animated films of Walt Disney are treasured by fans of all ages, and now you can paint your own scenes from these classics using paint-by-number techniques. Bring to colorful life scenes from Alice in Wonderland, The Jungle Book, Lady and the Tramp, Pinocchio, and Snow White and the Seven Dwarfs. The sturdy canvases can be hung up on the wall or displayed on the included stands. 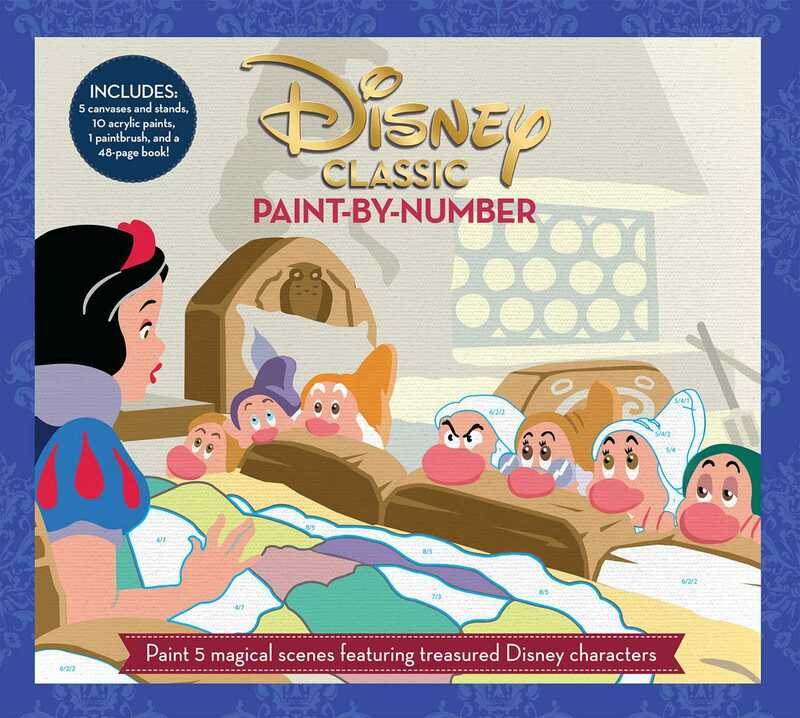 The accompanying 48-page book contains tips on how to mix colors and apply them to the canvases, in addition to insightful commentary on Disney's classic films.